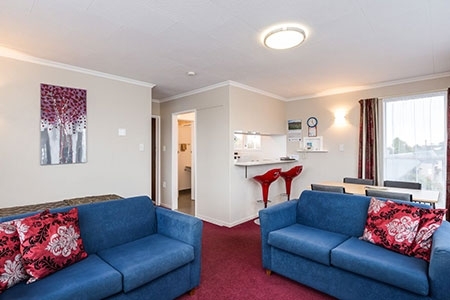 If you are looking for well-appointed Invercargill accommodation with Unlimited Free WIFI, Comfort Inn Tayesta Motel is the perfect place to call home. 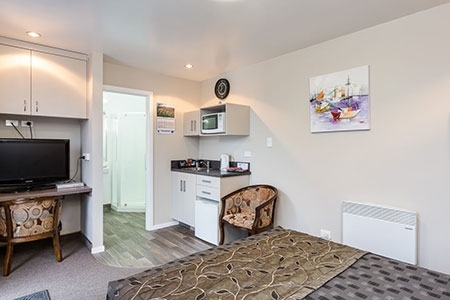 We are central to the business districts, shopping centres, local attractions, all major Southland sporting complexes, city centre cafes, restaurants, supermarkets and the Southland (Kew) Hospital. 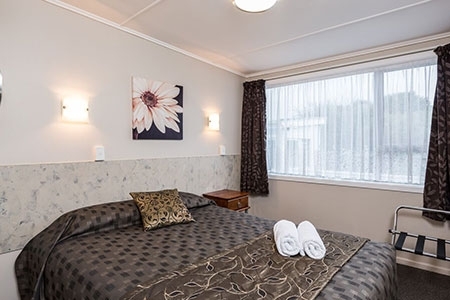 Our motel is the ideal jumping-off point for any trip to the South, being just 25 minutes from the Stewart Island ferry terminal, 2 hours from both Queenstown and Te Anau, minutes from the start of the Catlins scenic drive. Comfort Inn Tayesta is the perfect accommodation for leisure and corporate travellers. We have Sky Guest Select, offering you 50+ channels of entertainment on LCD TVs, so you never need to delay watching your favourite programme, sporting event or movie while travelling, free unlimited wifi so you can keep up with your business and social life, or live stream your favourites. Your hosts Mike and Jan have a wealth of local knowledge that they love to share with their guests. Southland's wealth is built on a robust farming history with sheep, deer and cows being the prime producers. 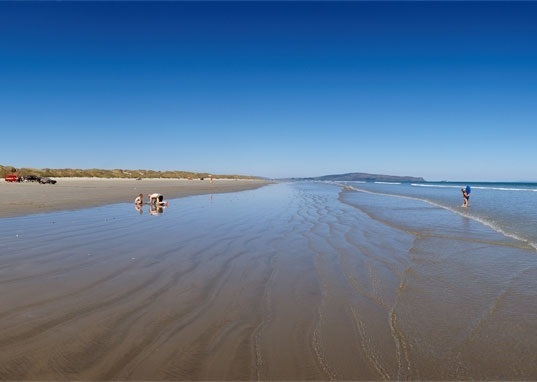 Invercargill City, the southernmost and westernmost city in New Zealand, is centrally located for you to explore Stewart Island, Catlins Coast and the Fiordland area. This picturesque region boasts a number of unique things to see and do. Whether you want to comb miles of pristine beaches, cruise on the great lakes, ski down the scenic slopes, get an up-close look at yellow-eyed penguins, fish for our famous trout or try the world famous Bluff Oyster, this area has something for everyone. We are only too happy to help you with your itinerary while in the south. Please contact us now to book to stay at Comfort Inn Tayesta Motel or to request more information. Located in a quiet place and yet very close to the city and major restaurants. Rooms are very spacious and clean. Highly recommend it for families and people visiting Invercargill for work. Competitively priced as well. Stayed here for a night and it was sparkling clean despite them having been fully booked the night before. 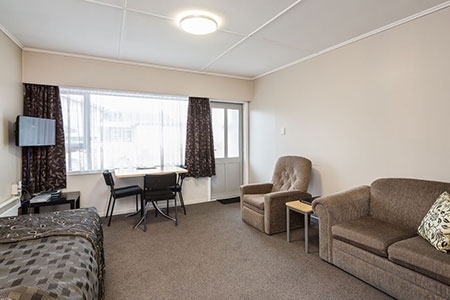 Easy access to stadium southland, the rugby, a great cafe (The Grill) and the airport. Would recommend. Staff super helpful and nice too. 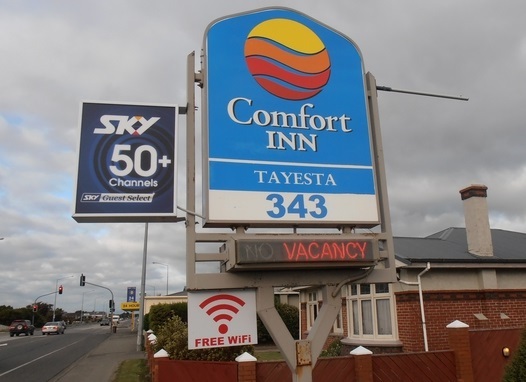 Comfort Inn Tayesta Motels © 2018. All rights reserved | Designed and Hosted by Design Shore Technologies NZ Limited.